Klaviyo is an e-commerce email marketing platform that enables business owners to automate, optimize, and manage their email campaigns. Its features include email personalization, ROI-based reporting, custom activity fields, and more. In this article, we covered user reviews and pricing. Ready to get started with Klaviyo? Sign up for a free account. Users who gave Klaviyo a positive review said that the subscriber segmentation feature is useful in targeting specific customers. Some of them also commended its seamless integration with third-party apps such as Shopify and Magento. One user who gave Klaviyo a positive review on G2 Crowd said that it helps him efficiently segment his audience based on their activities and website interactions. He also mentioned that the customer support team is responsive and reliable. Overall, he said that the software contributed to an increase in their monthly revenue because of its automation tools. Users who gave Klaviyo a negative review said that some of the templates appear different in the system compared to how recipients would see it in their inbox. Some of them also reported experiencing bugs and glitches. One user who gave Klaviyo a negative review on G2 Crowd complained about inaccuracies in the uniformity of emails from both his and the recipients’ end. He said that some of the message elements get jumbled when it reaches their subscribers’ inbox. He also reported that the app often freezes, prompting him to reload the page over and over again. 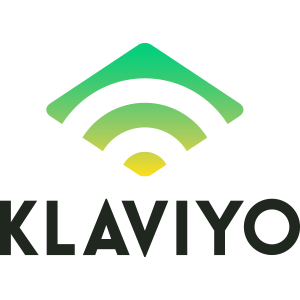 Klaviyo offers a single subscription plan that ranges from $0 to $1,700+/month. Pricing depends on the number of contacts and email allocation. For more than 150,000 contacts, interested users may contact their sales team directly to inquire. The pricing above reflects the information provided on Klaviyo’s website. No information was provided as to why subscribers with 1,000-10,000 contacts get an unlimited number of monthly emails. Ready to get started with Klaviyo? Sign up for a free account. 6 Best Email Marketing Software for 2018 — Email marketing software is used to create and send targeted email campaigns to your customers. In this article, we compared the best email marketing software and identified the top six options for your business. How can Klaviyo help users keep track of their subscribers’ list? Klaviyo enables users to view their total number of subscribers and keep track of their various segments’ growth. There are also performance reports that provide data on email flows and campaigns, including opens, clicks, and unsubscription rate. How can Klaviyo help simplify email marketing tasks? Klaviyo has features that automate email marketing campaigns such as autoresponders and pre-built email flows. The software also allows users to personalize automated email sequences based on customer lifetime value, lifecycle stage, brand loyalty, and more. Not sure if Klaviyo is the right fit for you? Read our reviews of all top email marketing software or check out one of these three Klaviyo competitors.